What Exactly Is A 'Big End', And What Does It Have To Do With Rod Knock? You might have heard of someone referring to an engine component as a 'big end', but what do they mean? 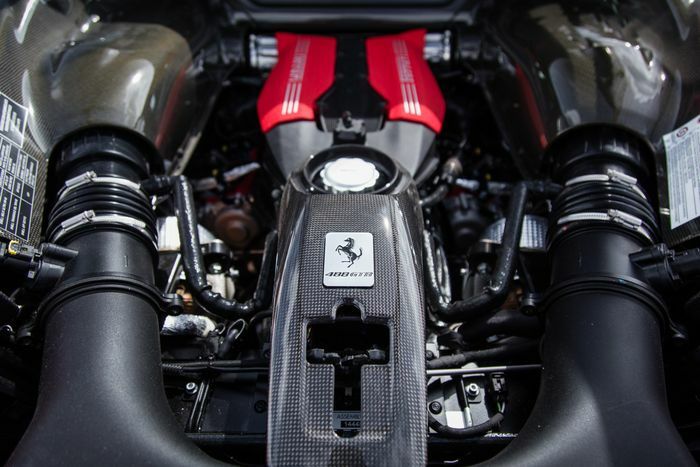 It’s not hard to grasp the basic concept of an internal combustion engine, but with so many components with associated names and nicknames, it’s easy to get lost. And one that seems to trip people up is the ‘big end’ - what the hell is it? 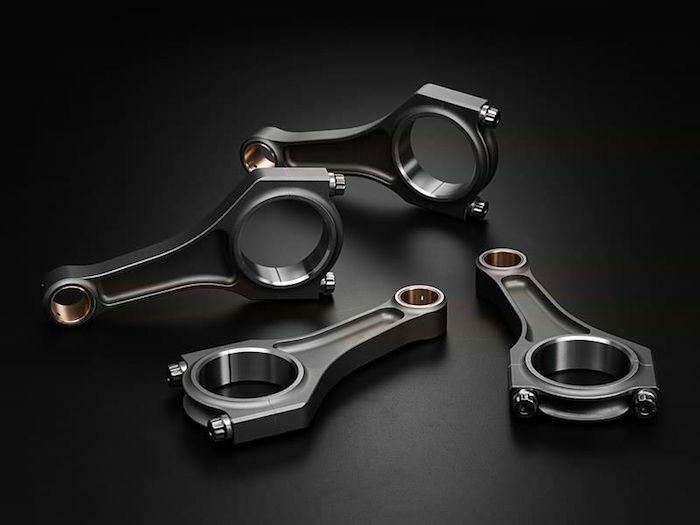 The answer is disarmingly simple: this refers to the larger side of a connecting rod or ‘conrod’, the part that turns the reciprocal motion of the piston into the rotating motion of the crankshaft. While the ‘small end’ joins to the piston via a piston pin or gudgeon pin - which allows for a pivoting movement - the big end is attached to the offset journals of the crankshaft. Half of the big end is removable (this part is also known as the ‘cap’) to allow it to be attached to the crank journal, and is secured with two bolts. It has a bearing lining the inner circumference, which is made up of two pieces that slot together. There’s also a hole in the main body of the conrod, through which oil is supplied to keep the bearing lubricated. It’s here that the dreaded ‘rod knock’ can arise. The bearing is made of a softer material than the rod itself and is kept separated from the crankshaft journal with a thin layer of oil. If the bearing is allowed to wear excessively - something which can happen if oil levels are too low - the bearing will be compromised, ruining the gap tolerance. This allows for the big end to move around on the journal more than it’s supposed to, giving that nasty knocking sound. At this point, you’re looking at an expensive rebuild to have all the bearings replaced. If you don’t, a rod failure will eventually happen, which is where proceedings take a turn that’s even more unfriendly to your wallet. The worst case scenario is the rod splitting in the middle between the big and small ends, with the crank mercilessly smashing one half of the broken part through the crankcase. Bye bye engine. As an unwelcome bonus, the excess movement associated with rod knock can also lead to the crank journals becoming scored. 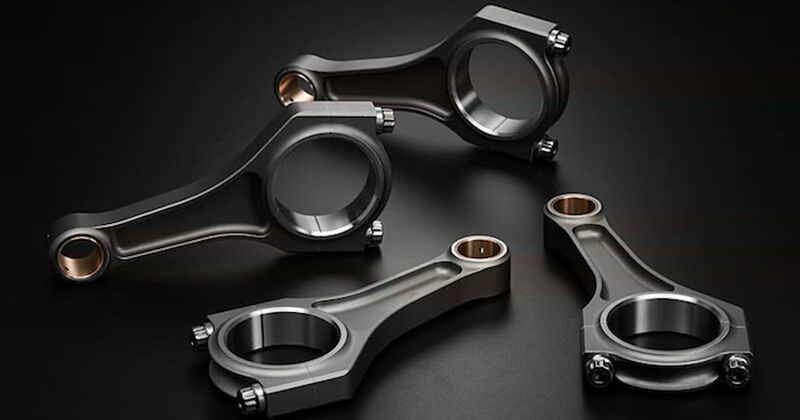 Due to the extreme amount of force they have to contend with, con rods often become the weakest link when increasing the power output of a car. When someone talks about ‘upgrading internals’, fitting stronger aftermarket conrods is usually a part of this. One solution is to opt for forged rods, which are made under much greater pressure, giving a stronger grain structure. The downside? Expense - it’s an inherently pricier way of making components, and that’s passed on to the consumer. There are also different construction methods for the big end cap. The more traditional solution has been to manufacture the rod in two pieces - the main body and the end cap. All well and good, but this introduces another potential point of failure. A more modern way is to manufacture the rod as one single piece, before having the big end cap split off by a machine in a process sometimes known as ‘cracking’. This gives two jagged surfaces that snap together perfectly. It also means that end cap is only going to be compatible with one rod (in other words, you have to be careful when it comes to engine rebuild time), but it’s worth it for the considerably stronger connection it allows between the two parts.